Enough is Enough! Time to Fight Back! Attention California Police Chiefs, Sheriffs, law enforcement labor unions, police officers, deputy sheriffs, traffic officers, probation officers, parole officers, correctional officers, and anyone else who is on the front line of the enforcement of California laws. Attention California District Attorneys, deputy district attorneys, prosecutorial labor unions and anyone involved in the prosecution of criminals in the State of California. Attention California community leaders and politicians who understand it is our role to make the community safer, not to pass laws making life easier for those who chose to victimize their fellow citizens. Attention victim advocacy groups, law enforcement support groups, law enforcement chaplaincies, and anyone who has personally been affected by a criminal on the streets due to AB109, Prop47 or Prop57. I am just a regular old street cop who has been running this blog for about five years. If you have heard of me, chances are at one point or another, I may have written something with which you did not agree. The fact of life is that even though we are all on the same side in this fight to maintain public safety, we do not always see eye to eye. However, there is a growing trend in our state that we should all be able to unite to combat, and that is the movement to decriminalize crime. It is time to put our differences aside, to come together to fight this dangerous game that our state’s elected officials are playing with the public safety, with our safety. To the best of my knowledge, this trend began back in 2011 when Governor Brown signed AB-109 into law. Since then, with the passage of Propositions 47 & 57, the ignorant voting public has believed the misleading proposition names and followed the governor’s lead, voting to either lower the severity of crimes, or completely decriminalize them. The reduced violent crime rate that our professions fought so hard to accomplish through the 1990’s and into the early 2000’s has slipped, and the crime rate has begun climbing in this state more often than not since 2011. In fact, it has risen the last three years in a row, with sharp increases in violent crime. Many of us who chose to be vocal about these horrible laws dreamt up by ivory tower politicians, whom we personally protect on a daily basis, predicted the crime rates would climb, and we were not wrong. It does not take a gifted prognosticator to figure out that when you put more criminals on the street, crime will rise. I could point to all the FBI statistics that support my statements here, but if you are in this profession, you already know what I said is true. However, for those not in this profession, here are those statistics which I took from the annually compiled Uniform Crime Report produced by the FBI. The chart below shows the rates for each year starting in 2011. The report for 2016 has not yet been released, but early reports from the FBI showed all violent crimes across the nation rose. Thus far, AB-109 has cost the lives of several cops in California, the most recent being Deputy Robert French of the Sacramento Sheriff’s Department. * Before Bob came Officer Keith Boyer of the Whittier Police Department. In addition to AB-109, when considering the changes that Prop 47 put in place, the death toll for law enforcement rises to five, adding Officer Jose Gil Vega of the Palm Springs Police Department, Officer Lesley Zerebny of the Palm Springs Police Department, and Sergeant Steven Owen of the Los Angeles Sheriff’s Department. That is just the number of cops killed as a result of these ridiculous laws. It does not include those who were shot and survived, or were attacked via other methods by persons who would have been locked up prior to the passage of those criminal coddling laws. Add to that the number of citizens who have been murdered, raped, robbed or just plain victimized by these early releases, and the extent of this problem becomes abundantly clear. Not a community in this state has been spared. The only people who have not been victimized by these dangerous changes to state laws are the very people who created and passed those changes. California politicians are making the entire state less safe, and they are only doing it to save money. The even sadder part is they are not attempting to save money in an effort to lower our taxes, because in fact they have continued voting to raise our taxes. Instead, they are merely trying to save that money so they can spend it on other projects that do absolutely nothing to enhance public safety and benefit only a small sliver of the population. I have had enough! It is time that we, those of us whose professional lives are dedicated to public safety, stand together, face to face with these political elites and tell them “No more! 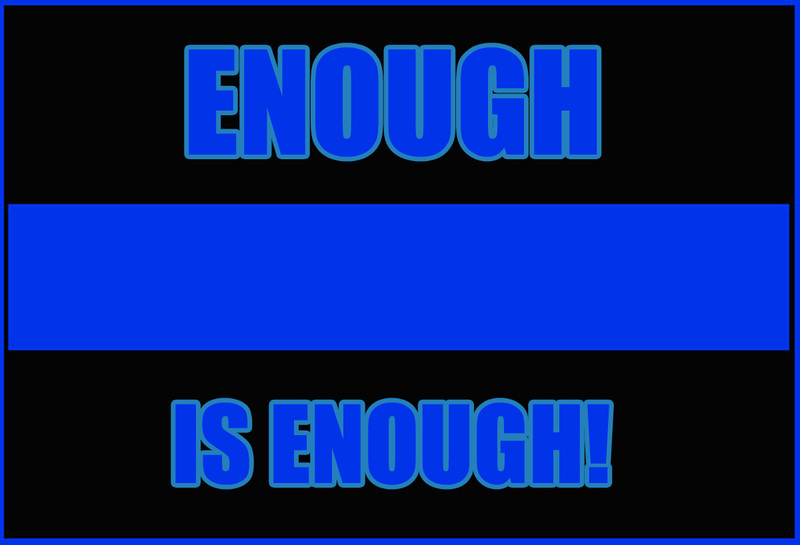 Enough is enough!” It is time to reverse this doomed course they have set us on, before it kills another member of our law enforcement family. If these political elites cannot see fit to do something to enhance all of our safety, maybe it is time that we stop taking extra steps to provide for theirs. 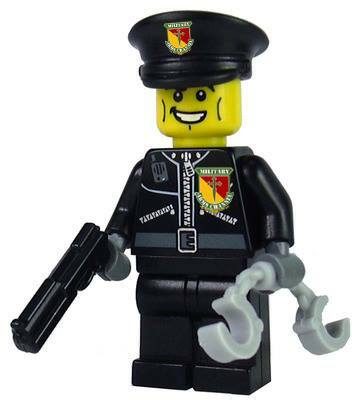 * While Deputy French’s murderer was on the streets due directly to the unfathomable decision made by Federal Judge Sallie Kim, the broad changes that AB-109 made to the previous parole system, including what constitutes a parole violation and the length of punishments received for those violations contributed to him being on the streets. Prior to AB-109, a person on parole who was arrested for a parole violation would not have been eligible for release, bail or not, prior to their hearing. Deputy French’s murderer bailed out. Despite what the CDCR press secretary Vicky Waters wrote in a press release, AB-109 absolutely, most definitely played a role in his release from custody. If you are interested in being part of this project, please like and follow us on Facebook. Please share both this blog post and our Facebook page on all your social media accounts. The more exposure this post gets, the more support we will gain. It is time we fix these laws so more California cops are not killed by violent felons who should have been in prison!